Inspired by the Russian nesting dolls she collected as a child, Vinka wanted to create a modern, multi-ethnic version. 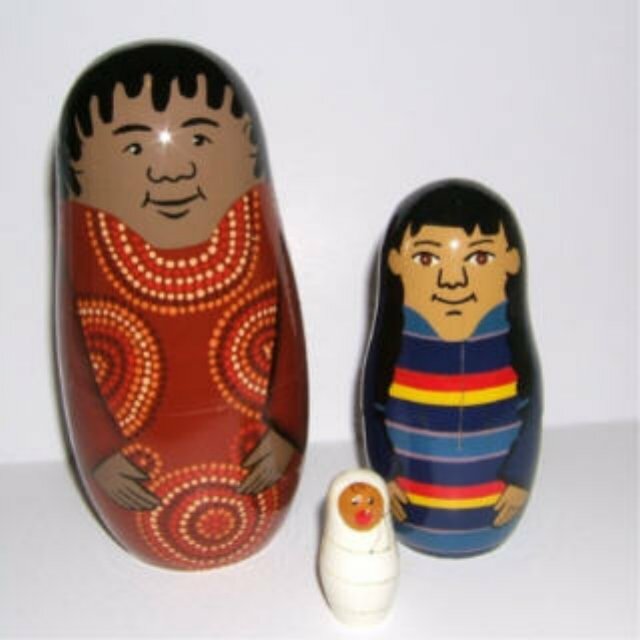 Instead of identical nesting Russian dolls, she made a doll for each continent. A native Lapp, Vinka made the doll for Europe a Lapp as well. The dolls are made in Russia according to traditional methods, and each one is handpainted with a unique facial expression. This IKEA doll is incomplete and pieced together from different sets.